Third stay at Royal Court Apartments. Came first time in October last year for a week staying in apartment 1 which they allow dogs in. Very spacious, very well equipped and not what we were expecting from the outside. We came again in November for 2 nights, as we were going to a concert at the spa, which is a 2min walk from the apartments. We were in the penthouse apartment, again it was amazing well equipped, great en suites. Wouldn't stop anywhere else in Bridlington. March 2012 - The apartment lived up to everything the website said and more. Very relaxing, view across the Bay was excellent. Good value for money, Jack was very helpful and showed us around providing all required info. Useful location as a base for venturing around the area. Free parking at rear of the apartments, access can be a little convoluted but entrance door right where you park. Be aware that there is no lift and the higher you go the more stairs to climb but result worth it. Wi-Fi included which is great as many places charge extra. We took the opportunity to revisit family history and Royal Court Apartments suited us best with the position. The view over the bay from the south across the Spa to the harbour are brilliant. No matter what the weather there is always something to see. A lifeboat launch on our final day was a highlight - and we were pleased to see the lifeboat successfully guide a trawler back into the harbour two hours later. First class facilities and close to everything with a warm welcome from Jack. Another visit is on our list! Found these apartments on the Internet. stayed here on business for 6 nights. We were in the penthouse apartment and it was brilliant! Lovely kitchen, lounge, three nice bedrooms two with en-suite all fitted to a high standard. Not to mention the balcony looking out to sea! In short I would highly recommend this to anyone who needs accommodation in Bridlington. One of the best places ive stayed and if I'm anywhere near will definitely be back!! I work near Bridlington and have stayed in numerous B&B's and hotels but nothing compares to these apartments. Worth every penny. We arrived for a family trip from NZ and from our arrival after 40 hours of travel until the day we left 10 days later the whole experience at Royal Court was 5 star+. With the highest level of cleanliness, quality furnishings and level of spaciousness the total experience is peerless in the region. 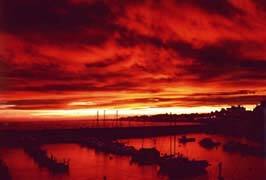 The position in town is second to none - we didnt need a car for anything - and the view was supreme day or night. The Royal court Apartments comfort, service and value for money is without doubt unrivalled on the East Coast. We would most certainly recommend these apartments to any discernible traveller. Airy spacious rooms, perfect location. Full recommendation! Top class apartment, spotlessly clean and tidy. The apartment was amazing even if the weather was a bit up and down. Very quick and easy to book, then just turn up and relax, see you again next year. An unscheduled week off and a quick browse on the Internet led me to discover this wonderful East Coast Gem. The enquires i made with John & Jack were handled excellently and all arrangements were made with the upmost care and attention. Upon arrival at the Royal Court Apartments we were given the guided tour and really made to feel welcome and that nothing was too much trouble. Because of the wintery weather we opted to stay in Apartment 2 which had a wonderful conservatory off the main lounge and a luxurious huge bath ( worth the weekly price alone! ) The Apartment was beautifully decorated, luxuriously comfortable and the location was second to none. It was a real treat to sit and relax whilst looking out over the sea and in the morning, watch the sun rise from the comfort of this wonderful apartment. 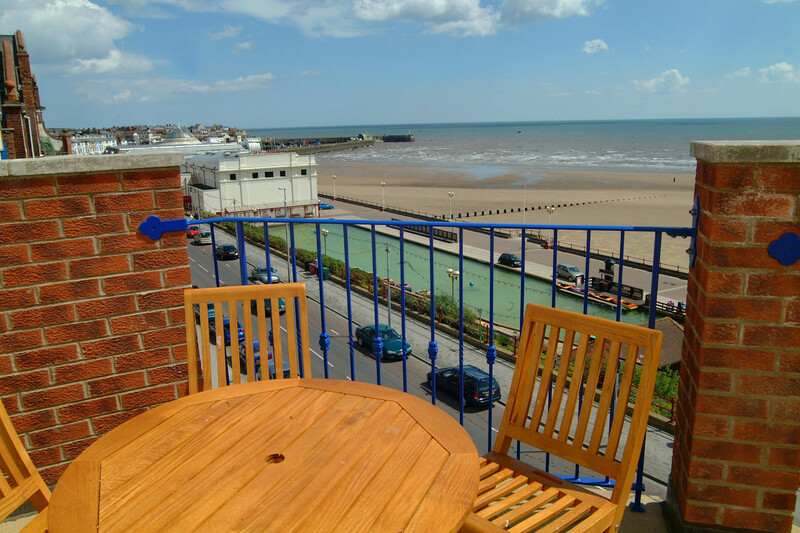 We are both looking forward to returning in late summer and enjoying one of the other apartments with the open balconies and expansive sea views. We stayed here in june 2011 for a long weekend. It's has really smart, modern apartment style rooms, which are so much better than the dusty old B&B's that we've stayed in before at Brid. The views are second to none in the town, and you couldn't get a better location for access to the beach, Spa Theatre, and resturants. (try Yipps Chinese or Rags for traditional). The owners we're really helpful, just living 10minutes away. My and a colleague stayed there for 5 weeks whilst working nearby and couldn't fault the place, the place is very well finished and has everything you need, the owners even leave dishwasher and washing machine tablets. We came back from work every night and relaxed in what felt like 'home from home'. It has an excellent high speed wifi connection too which helped us loads! This was the third time in 2 years we've stayed there and we will be back again later in the year. I stay away from home 9 months of the year and without a doubt Royal Court is the most pleasant place to stay, lucky for us we had amazing weather with great views out to sea every morning! would definately reccomend! 5 stars all the way!! To see where we are or to read other reviews please click here. We are listed on Trip Advisor. Click on the link to see all reviews.